TheMeowPost.com under Riviton, LLC (“Company”) has adopted the following policy toward copyright infringement in accordance with the DMCA, Digital Millennium Copyright Act (http://lcweb.loc.gov/copyright/legislation/dmca.pdf). The address of the Designated Agent to Receive Notification of Claimed Infringement (“Designated Agent”) is listed at the end of this policy. Please contact the Designated Agent to Receive Notification of Claimed Infringement for Company at TheMeowPost@gmail.com. 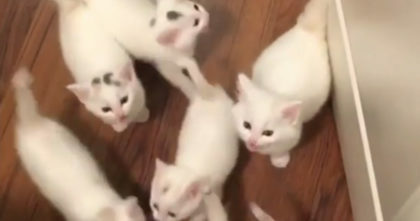 Watch how these kittens greet her when she walks into the room… This is just TOO CUTE for words!! 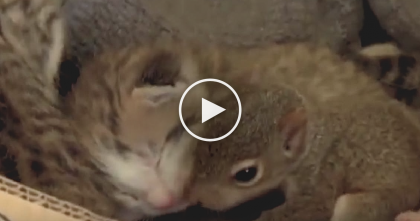 They Put This Abandoned Squirrel Baby With Some Kittens…And Now? 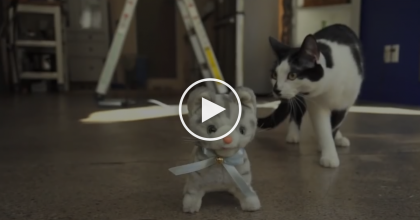 He Can Even Purr! 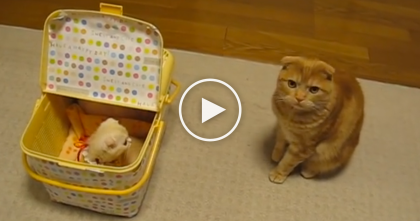 Ginger Kitty Discovers The New Kitten For The First Time…And It’s Just Adorable! !